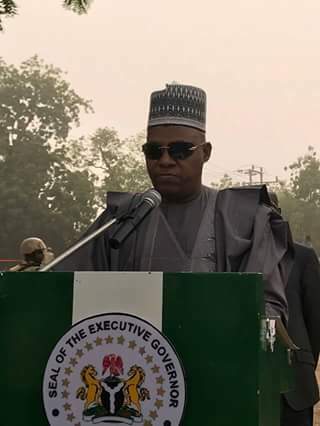 and His Excellency, Gov. 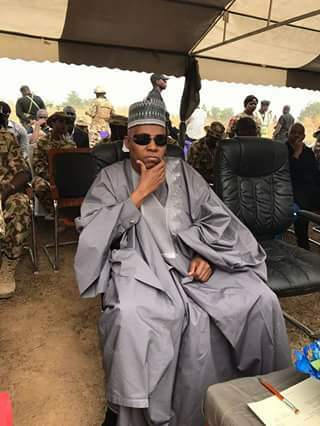 Kashim Shettima at the re-opening of Maiduguri-Baga and Maiduguri-Damasak Road in Borno State. 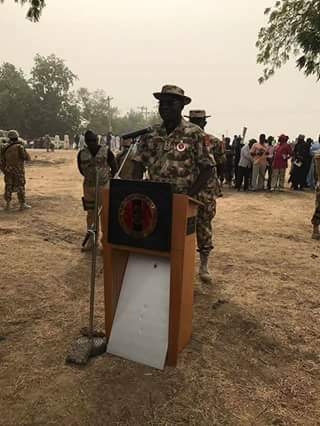 Representative of the Chief of Defence Staff, Rear Admiral AA Dacosta making his remarks. 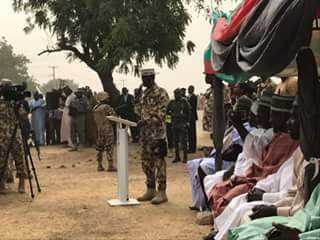 The Governor of Borno State calling for a standing ovation for the Chief of Army Staff, Lt Gen TY Buratai.